Inox Wind is a fully integrated player in the wind energy market that provides turnkey solutions for wind farm projects in India. They came to us with the task of creating an advertisement that cleverly explained what they do and highlighted ‘wind energy’ in order for their brand presence to grow in time for their IPO launch. They had spent most of their budget and time already creating an advertisement which they were not satisfied with, and there were only 2 weeks to script, shoot and edit a new one. We were excited to take this up and create something interesting, and we also felt happy knowing we were in some way supporting the use of a renewable energy resource. Our brief but concentrated research began with identifying what we wanted to say about wind energy. A common notion that people have is that alternative energies like wind and solar are ineffective and inconvenient. With this in mind, we decided it was important to display a sense of ease and efficiency for wind energy to break that image and indirectly build a positive brand image. We wanted to show people the power of wind and how great the world could be with it, whilst employing elements of imagination and fun. 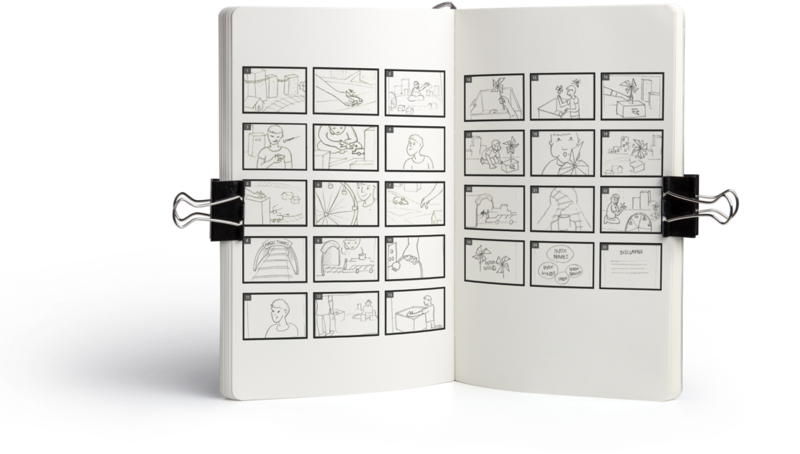 Our initial ideation resulted in several different iterations, but the final one that was selected covered all the points above, and subtly so. A child was used as the main protagonist to artfully portray wind energy as “the future” and seeing that even a child can power his city with the wind substantiates its ease and convenience. Even when the mother who controls the regular power turns it off, we see that the child (future generation) is no longer dependent on it and can still have fun without it. This signified that the future is here and we no longer need traditional energy forms to power our lives to live happily and sustainability. It gives credibility to wind energy and through the child’s toy city we envision a future where our cities can be run by the power of wind. 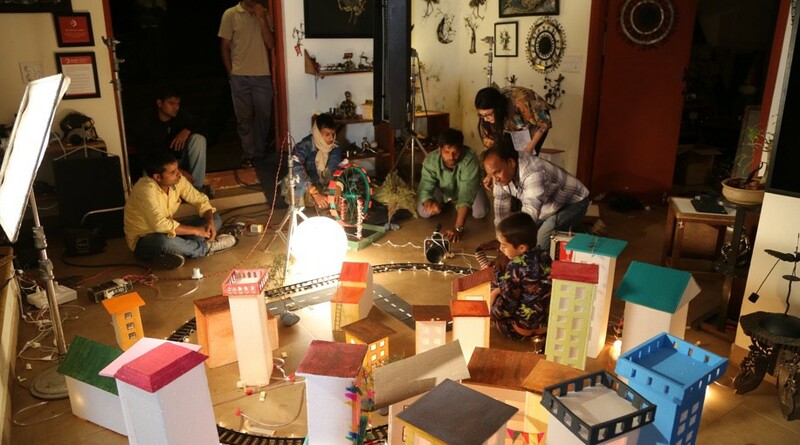 The toy city was the hero of the shoot, and creating the set of the city required a whole lot of time but though we were short on it, we went ahead with creating the dream toy city every child and inner child would love. It had to be cost-effective, translucent for light to pass through so it could be lit up, easy to move around and had to look colourful and beautiful. 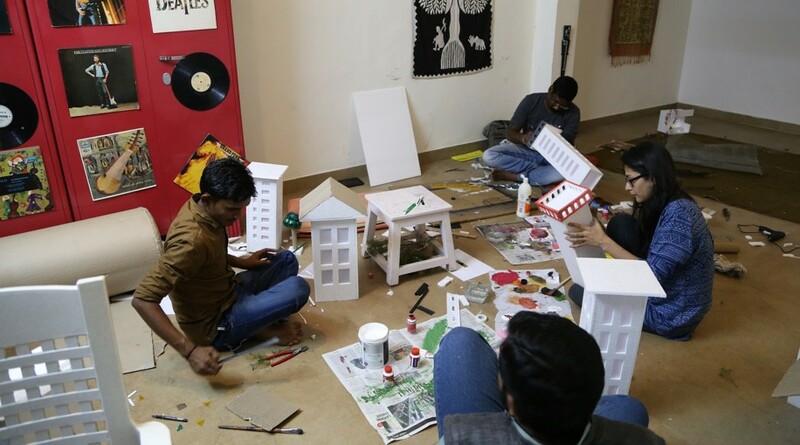 Local artists were brought on board for the task of cutting, pasting and creating what would become the setting for a child’s dream city. The major attractions were the running ferris wheel, the colourful tunnel and of course, the toy train moving through the city. There was close attention to detail in the small features of the city- each and every building was unique, it had different kinds of windows, roofs, balconies, sometimes grills, the roads had painted dividers, trees, benches, ladders, streetlights that actually lit, etc. It took about a week to create the entire set and light it up! 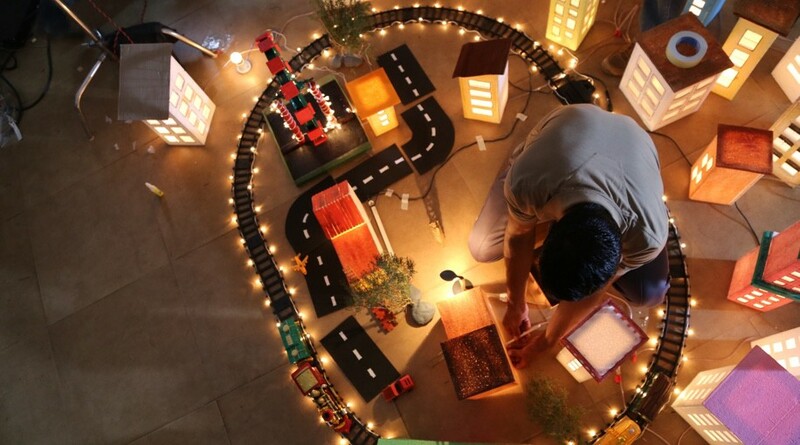 The advertisement had to be shot in a single day due to constraints of time, budget, availability of the actor and crew members. We decided to shoot in Panchgani itself, since our primary concern was to have a controllable, comfortable and well-sized space which would be difficult elsewhere and significantly increase the budget. Also since a home setting was required, it was easier to use an existing home rather than set up everything from scratch! 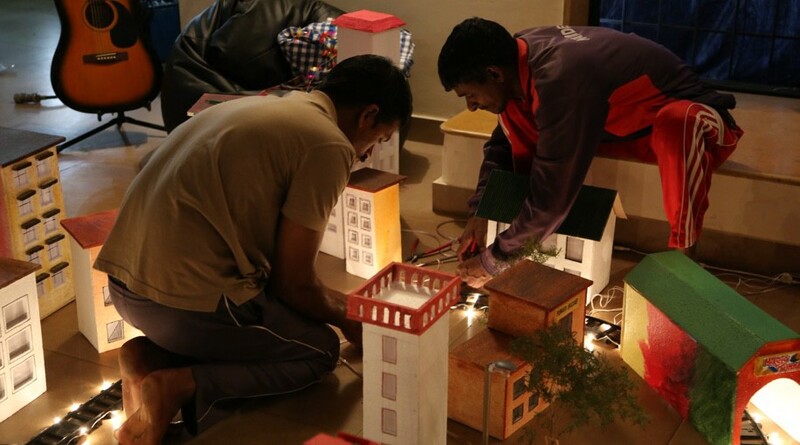 Because of recurring power cuts in Panchgani, a generator had to be hired from the closest town which was about 11 km away and the entire crew and equipments had to be transported from Mumbai in the morning and taken back the same day. We had daily workshops for a week with the a local boy to practice for the shoot since he was not an actor and most importantly, to build a rapport and sense of comfort with the director. On the day of the shoot, though there were some hiccups we managed to complete all shots the very same day and felt immensely proud of what we accomplished as a team. What was heartening to see was that each and every crew member thoroughly enjoyed working on the project and made it a point to say so post the shoot. Though not very noticeable, we used the unique technique of projection mapping to create colourful moving visuals on the buildings for the shot with the view of the city from the train. This was done to trigger the viewers’ imagination and make them feel as though they were on the train and inside the city of the future. 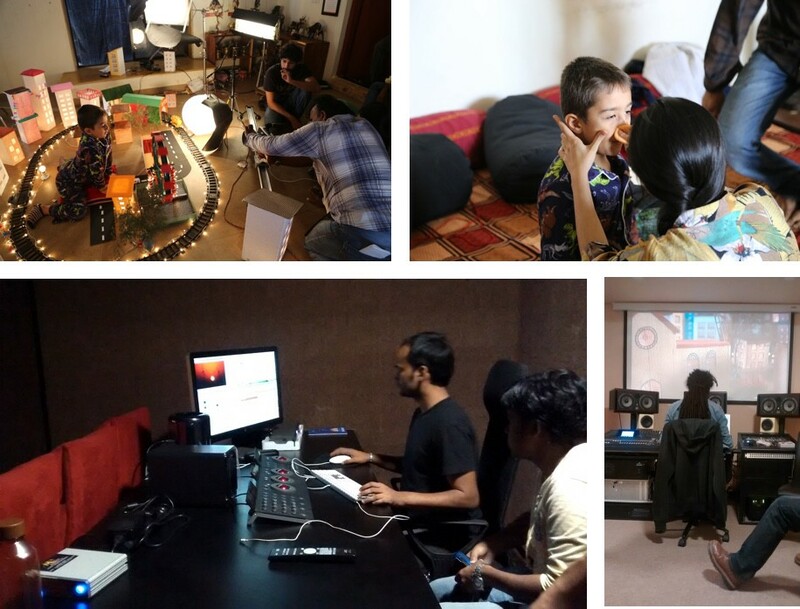 We edited and colour corrected the film in a lovely editing studio in Mumbai, recorded the voiceovers and sound in another with a sound editor who had a sense of humour and enjoyed playing around with the edit. Several music tracks were composed with a wonderful music director till we hit on the right one which had the sense of playfulness and fun we wanted to convey. Everything came together beautifully in the end when we finally watched our work on the big screen and felt satisfied by what we had accomplished.